Email marketing is basically as old as, well, email. But while many older internet marketing tactics have slowed in success rates, email marketing remains a valuable (and competitive) piece of almost every brand’s marketing success. Like everything in life, there’s good email marketing, and there’s bad email marketing. 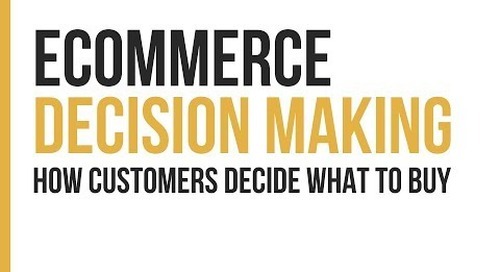 Today, we’re going to explore a few essential email examples for your eCommerce business. A welcome email is an opportunity to make a great first impression on someone who signs up for your email list. They’re famously effective as a marketing tool. MailChimp claims that they garner five times more orders than a standard bulk email. This campaign from Audible is a classic “get started” welcome email. The user has already paid for the service or signed up for a trial, so Audible wants her to listen to her first audiobook. This email also offers suggestions for the user’s first download. They’re all three popular titles, but knowing Amazon (who owns Audible), these titles may have been picked based on the user’s interests. This is significantly more advanced than most welcome emails, but more likely to result in one of those titles or more being added to the user’s account. Welcome email special offers don’t have to be big. This welcome email from Teva includes a modest 10%-off coupon for new email list subscribers. This welcome email keeps the copy short and sweet (and gives you a hint on how to pronounce their brand name). It even includes examples of their popular styles, which were possibly the reason you signed up in the first place. This isn’t a normal welcome email. It doesn’t even look like an automated eCommerce email, which gives it a personal touch. The content itself is sincere and heartfelt, and probably a story a lot of those who sign up for a fitness app can relate to. As an eCommerce business, a pretty significant chunk of your emails are likely going to be promotional emails. Promotional emails are any email that promotes the sale of your product. This could be new product announcement emails, a featured product of the week, new product in-stock notifications, and more. This email from Crowd Cow, an online seller of high-quality meat, announces a new product in advance of the holidays. It gives a brief description of the product and includes a link to a video to show you exactly how to cook the A5 Japanese Wagyu they’re selling. It’s a smart tactic to quell any concerns customers might have about cooking with a product they’re not used to. Keeping in a more traditional holiday mindset, the email ends with a reminder to buy a pasture-raised Thanksgiving turkey before Crowd Cow sells out. Teysha, a clothing company that sells shoes that incorporate hand-woven textiles, are known for their boots. They recently sent an email to their list to promote a new product—framed textiles. Unlike the Crowd Cow email, there’s nothing educational about this email. Followers of Teysha likely already know that their textiles are handwoven in Guatemala by artisans who are paid a living wage by the company. All Teysha needs to do is choose high-quality images of their best work, and their dedicated fan base will know exactly what they’re getting. Access to discount codes and coupons is a big reason a lot of people join email lists for brands they like. Any eCommerce business owner would be remiss not to send out an occasional special offer for email list subscribers. Offers don’t even have to be exclusive to those on the email list. This example from Homage, a T-shirt company known for their vintage styles, isn’t just for their subscribers. It’s a site-wide discount that’s applied without using a discount code. However, those on the email list are likely to appreciate the heads-up on this deal. There are a few things about this email campaign that make it a great example of a discount email. Firstly, the deal that customers are getting is clear. You get a four-pack of mystery tees for $42. The terms are also clear. The deal is only good for the day this email was sent and only available while supplies last. The imagery is also on-brand for Homage. It’s a funny image for a company that excels in selling sometimes humorous and often sarcastic or ironic T-shirts. The below email from Levi’s is similar in a lot of ways to the Homage email. It’s a simple, on-brand image with big text at the top detailing exactly what the sale is. Customers can save 30% on their order and get free shipping if they use a discount code by the end of the day. The difference is, this discount does require a code. Receiving this email makes customers feel special like they’re getting a bonus for being on the email list. Notice that this Levi’s email uses a template. The special offer, central image, and discount code can all be swapped out. That means their design team doesn’t have to start from scratch every time they do a discount. All they need are the new terms and a new image. The Homage example also has templated features in its header and footer, but the main image is unique to the sale. Their next sale email will involve graphic design time, while the Levi’s sale email just required a trip to their photo gallery. 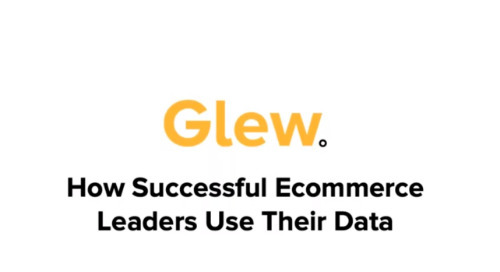 Abandoned cart emails are a powerful tool for eCommerce sales. These emails, powered by apps like Jilt, are sent automatically when users add products to their cart and then don’t complete their purchase. 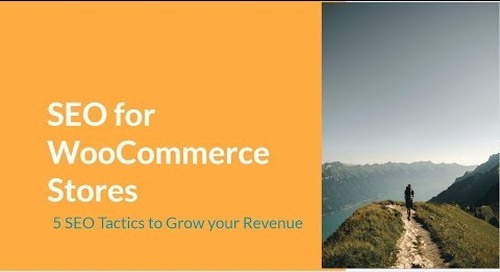 There are lots of reasons people don’t complete a purchase on your WooCommerce store. It could be shipping costs, it could be overall sticker shock, or it could just be that someone forgot to hit the last button in the purchase process. For the latter, you might not need to offer anything other than a gentle reminder that the user left something behind. This abandoned cart email from the music instrument marketplace Reverb.com doesn’t offer much more than a reminder that there’s something still in the user’s cart. It also reminds the customer that someone can buy a product out from under you if you leave it in your cart. That might not be a big concern for someone shopping for a microphone clip, but if someone is hesitating on a rare guitar, that alone could be enough to drive them to buy. Since Reverb.com is a marketplace that has thousands of different vendors, it doesn’t offer discount codes in its abandoned cart emails. It would probably be too difficult to coordinate that with sellers, who set their own prices and have to opt into any major sitewide sale. But sometimes a user needs an extra push to purchase. That said, sending coupons to everyone, in generic emails, won’t necessarily translate to more recovered revenue. This email from GoDaddy offers a user a 30% off coupon for everything new in her cart. It also offers her an option to talk to support if she has any questions before completing her order. GoDaddy’s email is an extremely bare-bones version of an abandoned cart email. It doesn’t even remind the customer what she almost purchased. If she was just absentmindedly pursuing available domains, this email could leave her more confused than ready to buy. As Jilt highlights in their recent study, you may not even need to send a 30% discount, ever. This example from the clothing company Betabrand takes a different, highly-customized approach. In their cart abandonment email, Betabrand reminds the user of every item in her cart and offers a discount code that can be applied in the next two days. It gives the customer a reminder of what she left behind, and a little discount might be enough to convince her to buy. Jilt is an industry-leading cart abandonment solution for recapturing lost sales. The purpose of these emails is to serve as a receipt for the customer and for the customer to confirm all the details of his order. It’s a chance for him to realize he accidentally ordered two of the same thing or had it shipped to the wrong address. Online customers expect order confirmation emails. If they don’t receive one, they don’t have any proof that they actually made a purchase or that the purchase is correct. This email from Seedlip, a company that sells non-alcoholic spirits for cocktails, has a very boilerplate order confirmation email. Though all order confirmation email should share the same types of information listed above, that doesn’t mean they can’t be customized for your brand. Using MailChimp and other plugins, you can set up automation campaigns (as order confirmations are automated emails) that have all of your branding elements, including whatever verbiage you want. MailChimp has a detailed article about setting up order confirmation campaigns within their knowledge base. Everyone appreciates a sincere and heartfelt thank you. Typically, your order confirmation email will include a brief “thank you for your purchase,” but that doesn’t have to be the only time you thank your customer. Dedicated thank-you emails aren’t as common as you’d think, making them a prime opportunity for you to stand out from your competitors. That extra personal touch could make a new fan for a lifetime. Here’s an example from the Chicago Music Exchange, a large guitar store with a strong online sales presence. This email reads as a short, personal note directly from the company’s CEO. Though it’s a little heavy on the exclamation points (we can’t recommend using three of them in three sentences), the message reads as a sincere showing of thanks for choosing them over anyone else. It even includes a team photo that just magically highlights some of their guitars. There are dozens of email marketing platforms, but the most popular ones according to a report by Capterra are Constant Contact, MailChimp, Vertical Response, Benchmark, and Campaign Monitor. The biggest is MailChimp. In January 2017 they reported having 14 million customers. To put that into perspective, Campaign Monitor is the second biggest platform with 2 million. MailChimp is so popular for a lot of reasons. It’s robust, affordable, easy to customize, has excellent automation, and integrates with countless other platforms, including WooCommerce. Because of its popularity and seamless integration with WooCommerce, this article will focus its examples on MailChimp. It’s typically set up through the “automation” section of your email software provider. In MailChimp, you click “Create Campaign” in the upper right-hand corner and select “Set Up a Welcome Email” on the pop-up. Next, MailChimp has you confirm what type of welcome email you want to send. You can send a standard welcome message, a series of onboarding emails (especially helpful if you have a complicated product and don’t want to overwhelm new subscribers with a single email), or an education series of emails designed to inform and engage. Each of these lists would have very different welcome email needs. You wouldn’t want to send active customers a salesey welcome email, but you might include some sales language to people who haven’t purchased but did show interest in your product, like those who entered a contest for your product or conference prospects. Likewise, those who requested more information could be candidates for an entire educational series about your business and products. Those who signed up via the blog could be sent an onboarding series that showcases your best-performing blog content. Next, you set some parameters for your welcome email. You can choose the schedule, any segmentation, and any actions you want to be taken after a person is sent the welcome email. Scheduling is automatically set to send all day, every day, but you might want to only send on weekdays between 10 a.m. and 4 p.m. when people are more likely to check their email. For segmentation, you can choose to send to or exclude those in a certain geographic region, who use a certain email provider, who signed up on a specific landing page, who had a certain eCommerce activity (such as spending a certain amount) and more. Post-sending list action is a little more advanced, but you can choose to update specific fields of information or even unsubscribe someone from a list after a welcome email is sent. What you put in your welcome email ultimately depends on what you want the goal of that email to be. Do you want people to create an account? Send them a welcome email with tips on getting started. Do you want them to make their first purchase? Send them a special offer. Do you want to increase site engagement? Send them some content you think they’ll like. According to a recent survey of email marketers by Litmus, an email software provider, the average ROI is $38 earned for every $1 spent. These emails are so effective because marketers can automate and test them. In fact, each email example mentioned in this article was an automated email. The setup is the time-consuming part, but other than occasional testing and tweaking, there’s not much you absolutely need to do to have effective email marketing. But all the automation in the world can’t help your brand unless you’re sending out quality messages to the right subscribers. There are dozens of types of email campaigns, but if you send emails too often (you shouldn’t email customers more than once a day) and to the wrong people (e.g., sending an email touting your new mustache wax to your female customers), you’re going to see high unsubscribes instead of high returns. With all of our Managed WooCommerce Hosting plans from Liquid Web, we include Jilt out of the box. Jilt is an industry leader in cart recovery technology. The post 12 Essential Email Examples for Your WooCommerce Business appeared first on Liquid Web. Multiple Payment Gateways: Are There Advantages For Your eCommerce Business?